Pretty lame beginning (could they be any lazier, filming the thing where they do? ), but it picks up the pace about 2/3rds through then—wow—all hell breaks loose. And I do mean Hell. 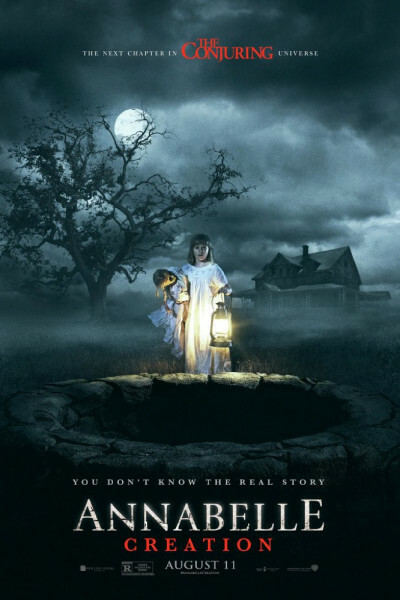 If you like the Conjuring franchise universe (and I do), then it's pretty good, but nowhere near as good as, say, Insidious or the original The Conjuring. But it does feature the usual suspects (tiny demons, nuns, et al. ), though the former are almost always just glowing eyeballs, wretched hands, and the sources of jump scares. Oh well. See it or don't; they're making more either way. Next up is The Nun, featuring the critter that looks an awful lot like Marilyn Manson. And I do mean an awful lot.